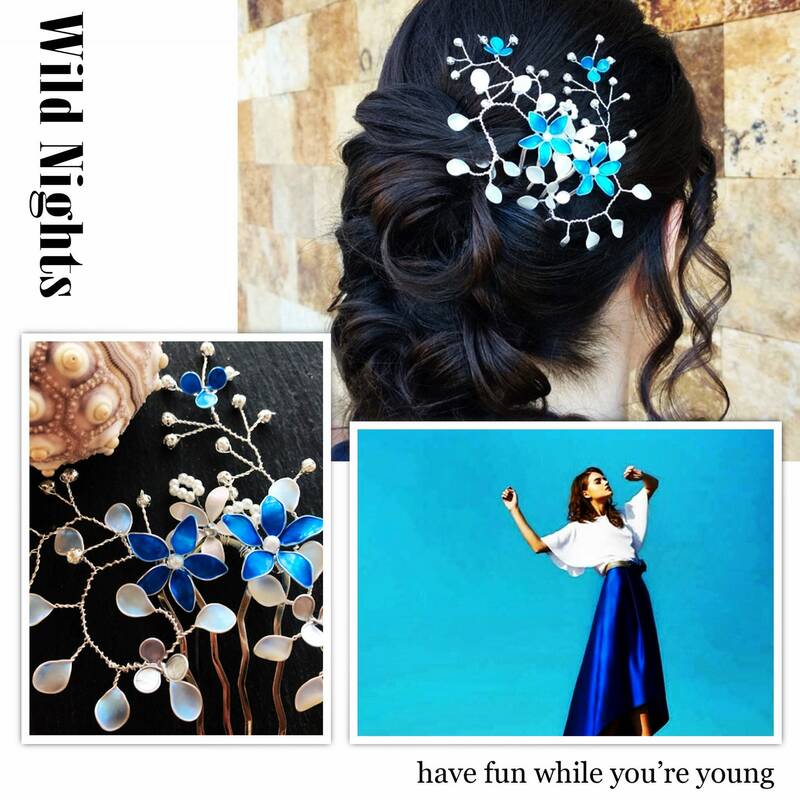 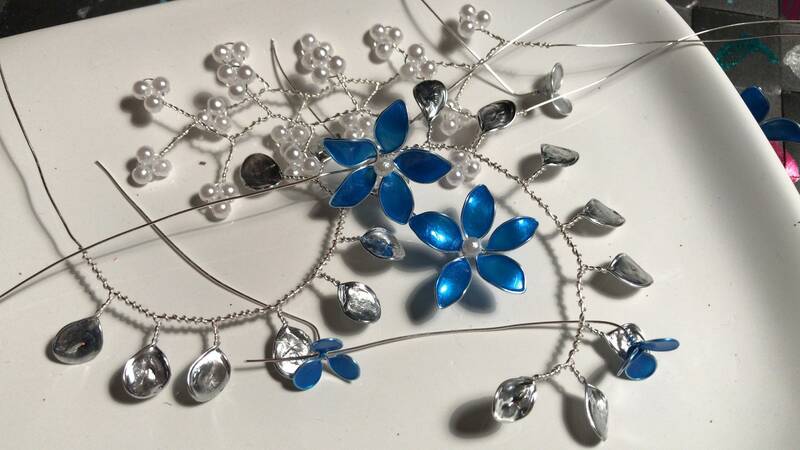 Combining blue, silver and white we have two versions of the same headdress. 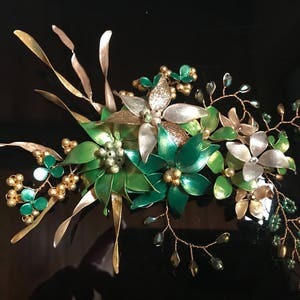 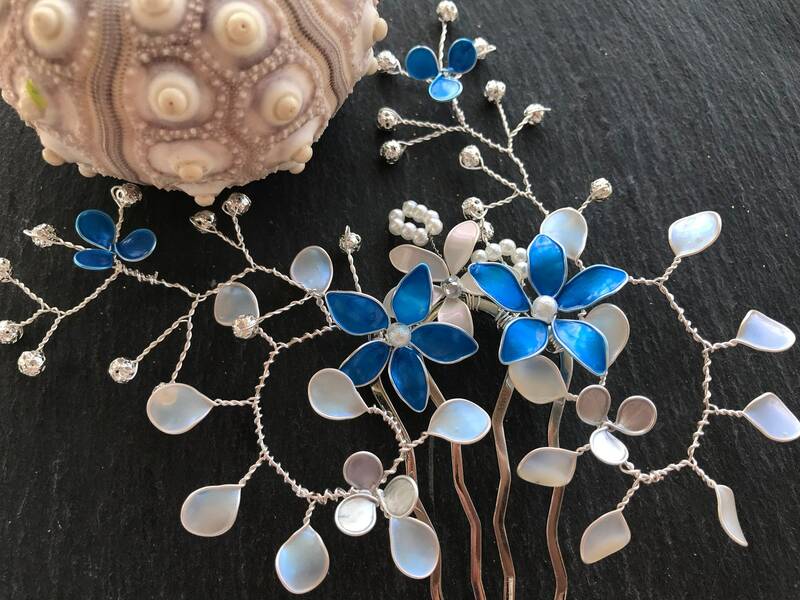 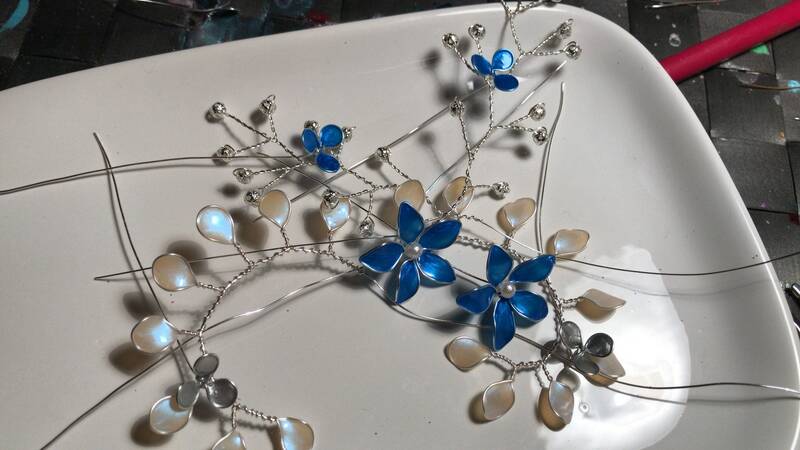 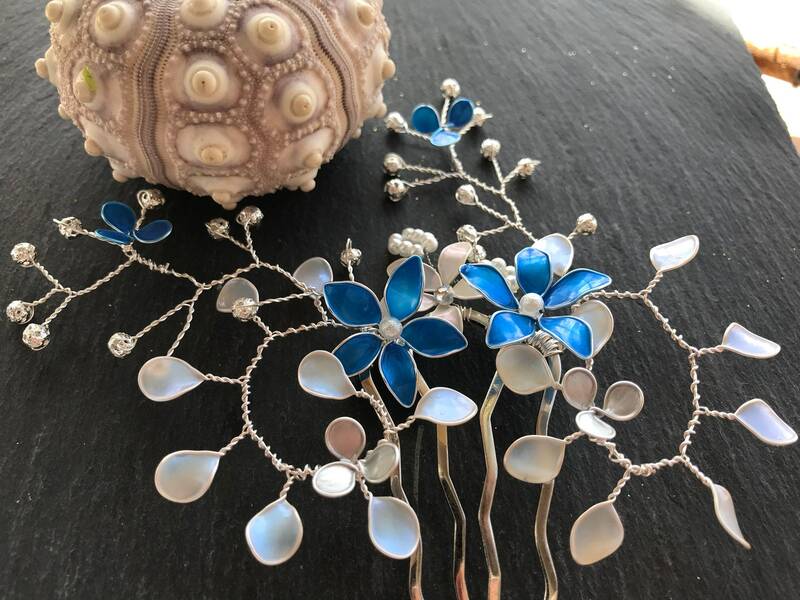 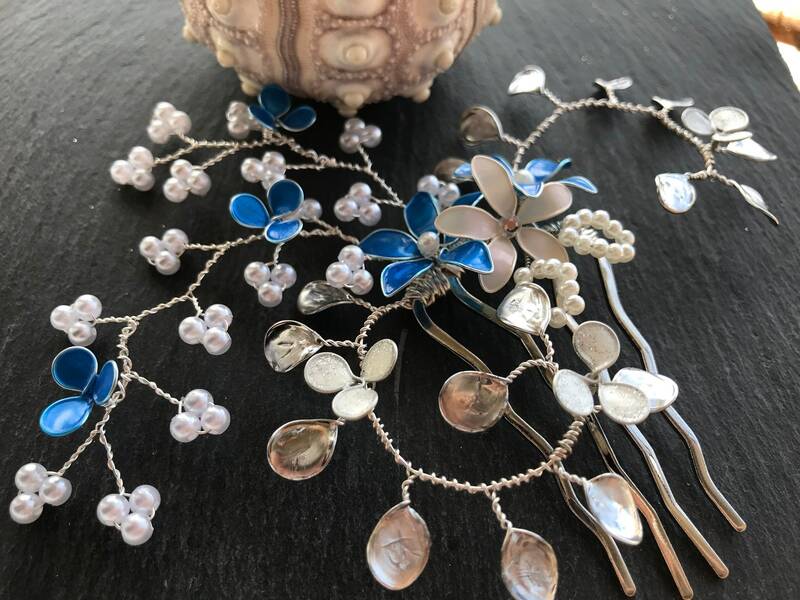 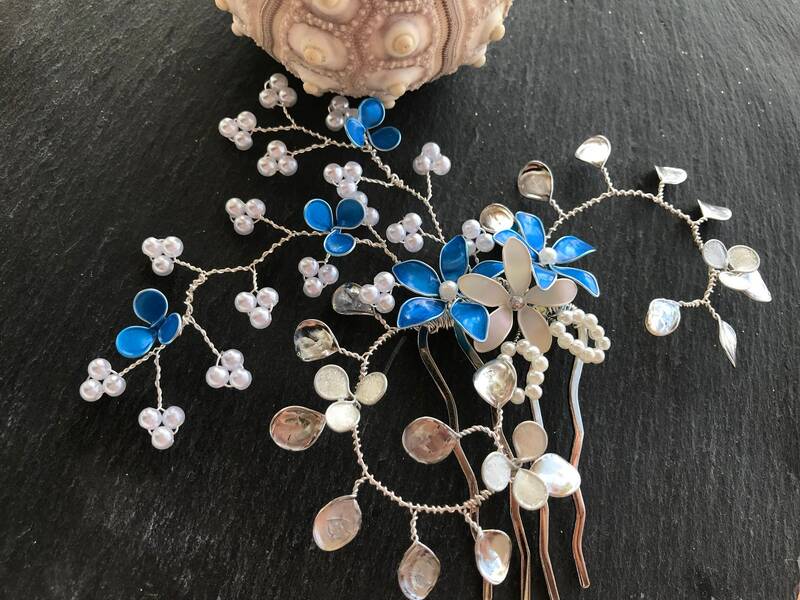 Flowers glazed in blue, iridescent white or silver leaves, and jewellery in silver or white. 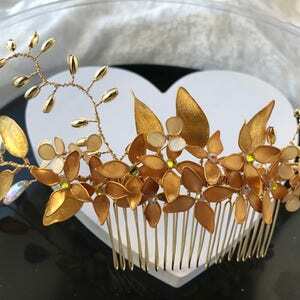 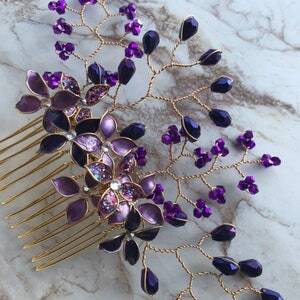 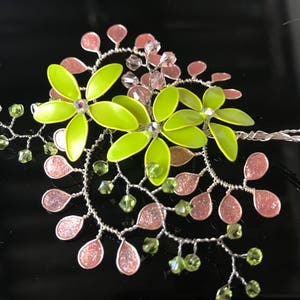 Both combinations give us a spectacular result, mounted on a small comb 4.5 cm wide.